The studio at 1508 London creates exceptional residences and interior spaces in the UK and internationally. We have worked with them on many projects where the focus is on quality and attention to detail. 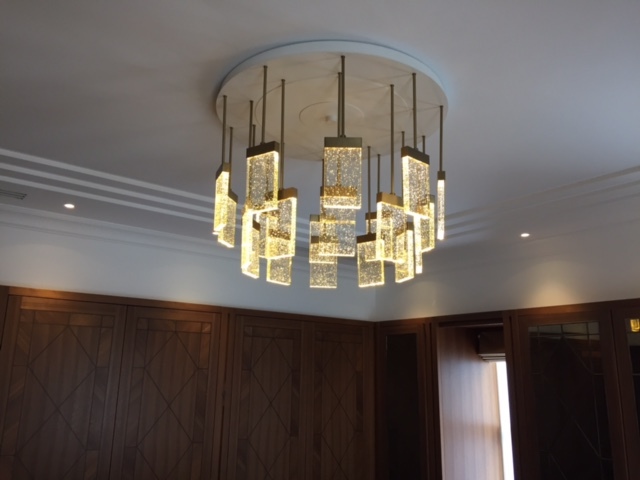 A particularly beautiful commission was bespoke lighting that was installed throughout a stunning new build luxury home in Surrey. 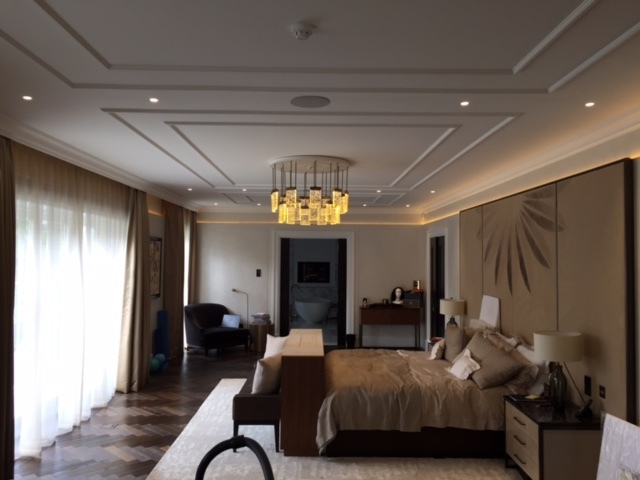 We produced chandeliers, wall lights and pendants for the drawing room, bathroom, beauty salon and landing. Shown here is the pendant made for the master bedroom that was replicated for the dressing room. Our team made a circular fixing plate that gives the illusion of melting into the ceiling. This houses brass rods that have been hand finished in bronze with bronzed panels attached to them that hold discreet LED lamps. Light is diffused across glass lacquered by our artisans to produce a unique warm, buttery glow that produces the ambience required by the design narrative.